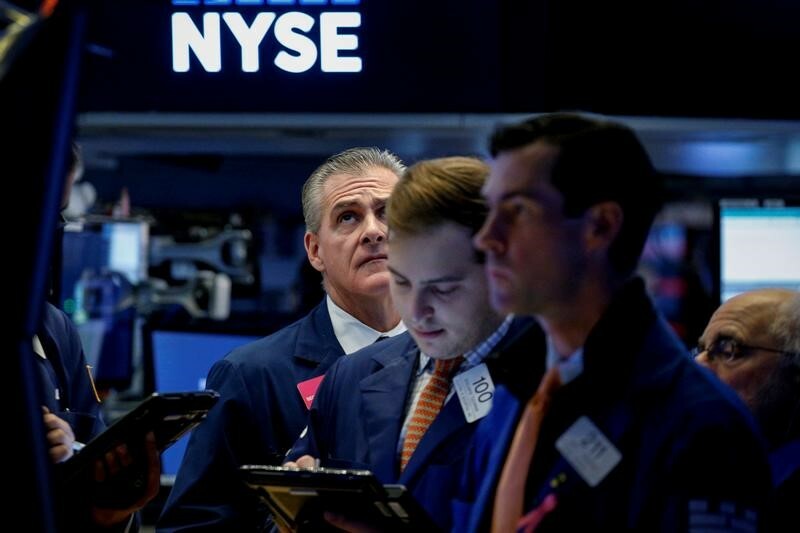 Investing.com – Following a batch of underwhelming economic reports, the final reading of fourth-quarter U.S. growth will be the main event for financial markets in the week ahead, as investors watch for further signals on the strength of the economy. Besides the GDP report, this week’s calendar also features data on personal consumption expenditures (PCE) inflation – the Federal Reserve’s preferred metric for inflation. Market players will also pay close attention to comments from a parade of Fed officials this week for insights into the outlook for monetary policy in the months ahead. The Fed last week all but swore off raising interest rates again this year – a swing that could signal the end of its three-year monetary policy tightening cycle. Investors also have their eyes on the , where the spread between three-month Treasury bills and 10-year note yields inverted for the first time since 2007. The inverted yield curve is widely understood to be a leading indicator of recession. Meanwhile, trade talks between the United States and China will also keep investors on their toes this week, as Treasury Secretary Steven Mnuchin and other members of the Trump administration head to Beijing. There are also Brexit headlines to monitor. U.S. economic reports will remain in focus, particularly after a recent batch of disappointing data showing that both consumers and businesses have pulled back. The U.S. Commerce Department will release final figures on fourth-quarter economic growth at 8:30AM ET (12:30 GMT) Thursday. It is expected to show the economy expanded at an annual rate of in the last three months of 2018, downwardly revised from a preliminary estimate of 2.6%. It expanded by 3.4% in the third quarter of last year. The economy is losing speed as the stimulus from a $1.5 trillion tax cut package and increased government spending fades. A trade war between the United States and China, softening global growth and uncertainty over Britain’s exit from the European Union are clouding the outlook. The Commerce Department will publish data personal income and consumer spending for January, which include the personal consumption expenditures (PCE) inflation data, at 8:30AM ET (12:30 GMT) Friday. The consensus forecast is that the report will show that the core PCE price index inched up , after rising at a similar pace a month earlier. On an annualized basis, core PCE prices are expected to rise . Other top-tier economic data due this week includes the latest CB consumer confidence report, as well as data on building permits and housing starts. A handful of Fed speeches will get the market’s attention this week, as traders watch for more clues on monetary policy. Chicago Fed President Charles Evans, Philadelphia Fed President Patrick Harker and Federal Reserve Bank of Boston President Eric Rosengren are all set to deliver remarks on Monday. Evans and Harker are on the agenda again for Tuesday, as is Federal Reserve Bank of San Francisco Mary Daly. Wednesday sees Federal Reserve Bank of Kansas City President Esther George deliver comments at an event hosted by the Money Marketeers of New York University. Fed Vice Chair Richard Clarida, Fed Governor Randal Quarles, Fed Governor Michelle Bowman and St. Louis Fed President James Bullard are all on the docket for Thursday. Quarles is then on tap again on Friday. Fed officials last week suggested no rate increases would come this year — after indicating in December that two could take place. The U.S. central bank also indicated it intends to end the reduction of its massive $4.2 trillion balance sheet by September. The are due to resume high-level trade talks this week, but it is unclear if the two sides can narrow their differences and end the trade war between the world’s two largest economies. U.S. Trade Representative Robert Lighthizer and Treasury Secretary Steven Mnuchin will travel to Beijing for the latest round of high-level trade talks scheduled to start on Thursday. U.S. President Donald Trump said on Friday that the talks aimed at resolving an eight-month old trade dispute between the world’s two largest economies were progressing and a final agreement seemed probable. However, U.S. officials downplayed the prospect of a swift conclusion as China is not conceding to U.S. demands to ease curbs on technology companies, the reported on Sunday, citing three people briefed on the discussions. The risk of a damaging no-deal exit by Britain from the European Union on March 29 has been averted by the reprieve granted to by other EU leaders last week. After three years of tortuous debate, it is still uncertain how, when or even if Brexit will happen. May hinted on Friday that she might not bring her twice-defeated EU divorce deal back to parliament this week, leaving her Brexit strategy in meltdown. The Times and The Daily Telegraph reported that pressure was growing on May to resign.